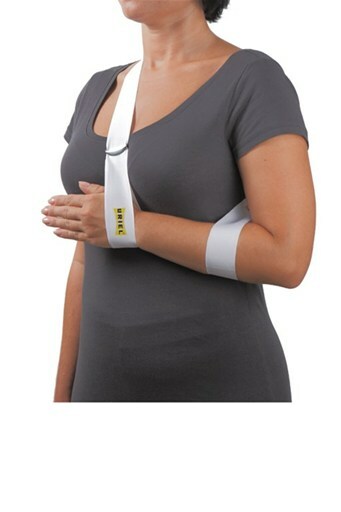 Extra comfortable sling that supports arm during recovery of fractures, sprains and other injuries. Applies minimal pressure and tension on the back of the neck. Adjustable strap and buckle for easy application. Suitable for left and right arm.